Drees Homes is a family owned builder based in the midwest. They have a reputation for building quality, custom homes, with the flexibility of building in buyers’ preferred locations. Design Gallery is the Custom division of Drees. We’ve partnered with Steve England to create a snapshot of Design Gallery Homes by Drees and his role within the organization. Steve is a Design Consultant. He works with buyers who want to build on their own lots or purchase a lot and build their custom home in their preferred neighborhood or location. Custom builder with a simpler and less expensive process. Drees/Design Gallery has the flexibility to build in a buyer’s preferred location instead of a specific community. Read more about What Sets Drees Apart from Other Custom Builders. Exceptional communication and follow up. Drees/Design Gallery consultants make sure that buyers are very involved throughout the process, calling weekly during the build and following up at important junctures after move-in to make sure that everything is as it should be. There is always an opportunity to ask questions to make sure everyone is on the same page. Clients feel informed and comfortable through the building process. Drees is a Family-owned company with 90 years of experience. As Steve England describes it, when you build with a family-owned company, you become part of the family: “It’s a relationship. As a member of the Drees family, we want you to love your home and we want your building experience enjoyable and stress free! Q: Tell us a little about your background and what you bring to Drees/Design Gallery as a design consultant. A: I was a Custom Builder before I came to work for Drees/Design Gallery so I understand the nuts and bolts of the house. Because of my construction background I do the design revisions to our existing floor plans. I’ve been in the constuction business all my life. My Father is a retired Brick Mason and my Mother was the President of the “Women in Construction” organization. I’ve been a laborer in many of the construction trades so I understand all phases of the building process. My background makes for a better and more informed experience for my clients. Q: What is it about you that makes people want to work with you? A: I think people can tell that I love the home building business and that I am committed to building the home of their dreams with the best quality and price possible. Communication is the key. I’m very easy to talk to and I make sure that people know that there are no stupid questions. Customer satisfaction is very important to everyone who works for the Drees family. We want people to have a truly outstanding building experience! Q: What do you love about your role? A: I truly enjoy what I do. Family is very important to me. I love working with people, helping to design and build a home. I also enjoy the building process. From the initial design work, to working with our Professional designers at our Design Studio, to foundation and framing. I work hard to make sure my clients enjoy the process as well. I want to work hand in hand with my clients to build a quality home they can be proud of and build fond memories in. Because “home is where the heart is”. Do you have more questions about the process? 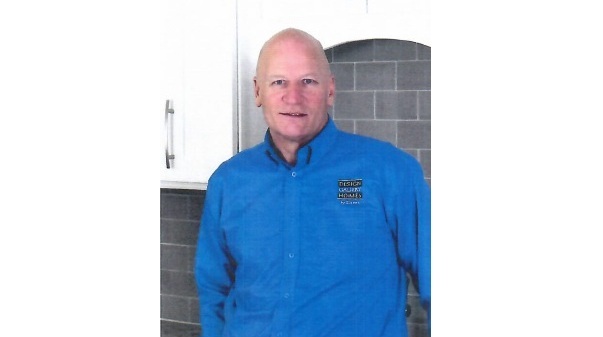 Contact Steve – he is always happy to help!